1 This is one of the most publicised disciplinary cases in recent years, not only because of the amount of money misappropriated by the lawyer concerned (“the respondent”), but also because of the systematic as well as brazen manner in which the misappropriation was effected. The respondent has, not surprisingly, since absconded with his ill-gotten gains, leaving innocent victims in his wake. The only silver lining (if it can be described as such) is that the audacity and the brazenness displayed by the respondent are matched in their intensity and magnitude by their rarity. Another (paradoxically, perhaps) positive benefit is that the respondent’s appalling misconduct serves not only to highlight what must be avoided at all costs, but also (and more importantly) to throw into sharp relief the stringent ethical and professional standards which virtually all lawyers already practise as well as strive towards and which represent what the law (and its practice) is – and ought to be – about. In particular, this case reminds us of the universal and time-honoured values that have entitled the practice of law to be accorded the status of a profession, in particular, one which embodies (and, more importantly, aids in realising in the practical sphere) the ideals of justice whenever and wherever they are applicable. 2 We will return to these values towards the end of these grounds of decision. For now, we will focus on the reasons for our decision on the application of the Law Society of Singapore (“the Law Society”), pursuant to the show cause order made on 30 August 2007, for a final order to be made under s 83(1) of the Legal Profession Act (Cap 161, 2001 Rev Ed) (“the Act”). The respondent was not present at the hearing before this court; nor was he represented by counsel. Having heard the submissions of counsel for the Law Society, Mr Tan Chuan Thye (“Mr Tan”), we granted the Law Society’s application and ordered the respondent to be struck off the roll of the advocates and solicitors of the Supreme Court of Singapore. 3 A total of 58 charges pursuant to rr 3, 7(1)(a), 7(2), 11(1) and 11(2) of the Legal Profession (Solicitors’ Accounts) Rules (Cap 161, R 8, 1999 Rev Ed) (“the SAR”) and s 83(2)(b) of the Act were originally preferred against the respondent. However, at the commencement of the hearing before a disciplinary committee appointed by the Law Society (“the Disciplinary Committee”), Mr Tan informed the Disciplinary Committee that the Law Society would be proceeding with only 30 of the 58 charges. This was the result of the Law Society’s decision to focus only on offences committed during the period between 24 May 2006 and 2 June 2006. 4 Subsequently, at the hearing before this court, the Law Society proceeded with only 17 out of the 30 charges dealt with by the Disciplinary Committee. m. withdrawal of S$1,645,005.00 by Banker’s cheque number 030083 on 1 June 2006, S$1,645,000.00 being payment to United Overseas Bank Ltd and S$5.00 being bank charges. Cash books, ledgers, journals, etc. (c) to distinguish all money of the categories mentioned in sub-paragraph (b) received, held or paid by him, from any other money received, held or paid by him. 7 The facts of this case were straightforward. The respondent is an advocate and solicitor of the Supreme Court of Singapore of some 17 years’ standing, having been called to the Bar on 14 March 1990. At the material time, the respondent was the sole proprietor of DRP. He was also the sole signatory of the Client Account, which was maintained at Malayan Banking Bhd (“Maybank”). 8 In March 2006, DRP was retained by a married couple (“the Clients”) to act for them in their purchase of a property (“the Property”). The Clients exercised their option to purchase the Property, leaving a balance of 90% of the purchase price (as well as stamp fees, legal costs and disbursements) to be paid upon completion. 9 On or about 24 May 2006, the Clients issued a cheque dated 23 May 2006 for the sum of $10,658,240.00 in favour of DRP. Prior to that sum being credited to the Client Account, the balance in that account was $1,066,730.86. 10 On or about 26 May 2006, pursuant to the respondent’s instructions, the sum of $10,653,240.00 was withdrawn from the Client Account and transferred to another of DRP’s client accounts, which was a fixed deposit account (“the Fixed Deposit Account”), leaving a balance of $1,065,537.14 in the former account. A few days later, on or about 31 May 2006, the sum of $10,653,240.00 was deposited back into the Client Account, again on the respondent’s instructions. Thereafter, there were numerous unauthorised withdrawals of large sums of money from the Client Account between 31 May 2006 and 2 June 2006. These withdrawals, which totalled $11,327,408.00, were all signed off by the respondent. A large part of the amounts withdrawn constituted the sum of $10,658,240.00 which had been intended for the purchase of the Property. 11 The withdrawals were discovered on or about 5 June 2006 when a legal associate of DRP as well as other staff of the firm received envelopes containing cheques, all drawn on DRP’s office account (“the Office Account”), in their favour. Checks made by DRP’s bookkeeper revealed that a number of large withdrawals had been made from the Client Account on or about 31 May 2006. 12 Attempts to contact the respondent failed, and the matter was immediately referred to Ms Yashodhara Dhoraisingam, Consultant Director for Professional Standards of the Law Society, on 5 June 2006. 13 The Council of the Law Society (“the Council”) intervened on the same day in the practice of DRP and the Client Account as it was satisfied that it had reason to suspect dishonesty on the part of the respondent in connection with his practice. On the following day, the Law Society wrote to Maybank to inform the latter that it was intervening in respect of, inter alia, the Client Account, and that, accordingly, the moneys in that account would vest in the Law Society, which would hold the funds on trust for the persons entitled to them. 14 Grant Thornton Specialist Services Pte Ltd (“Grant Thornton”) was appointed on 6 June 2006 to review the books and records of DRP’s accounts. In particular, it was tasked with investigating, inter alia, whether there had been any unauthorised and improper withdrawals from the Client Account and whether the bookkeeper had breached her duties under the SAR, as well as with identifying the clients who had moneys remaining in the Client Account. (c) payments had been made by both cheque and cash to individuals who were not beneficiaries of the funds in the Client Account. (c) the transfer of the sum of $10,653,240.00 from the Fixed Deposit Account back to the Client Account, as set out at  above. 17 Following this sequence of events, the Clients commenced court proceedings against the respondent as well as against some of the recipients of the moneys withdrawn from the Client Account. The claim against the respondent was for the misappropriation of the sum of $10,658,240.00. As the respondent did not appear to defend himself against the suit, default judgment was entered against him. 18 In January 2007, the Disciplinary Committee, chaired by Mr Roderick Edward Martin, was appointed by the Honourable the Chief Justice pursuant to s 90 of the Act to hear and investigate the complaint against the respondent. 19 Attempts were made to contact the respondent at his last known residential and business addresses so as to notify him of the proceedings before the Disciplinary Committee, but to no avail. Accordingly, the Law Society made an application under r 21 of the Legal Profession (Disciplinary Committee Proceedings) Rules (Cap 161, R 2, 2003 Rev Ed) for service of the relevant documents on the respondent to be dispensed with. In considering the application, the Disciplinary Committee acknowledged that public interest recognised that a person accused of misconduct should be accorded the right to defend himself in disciplinary proceedings commenced against him. However, that right could not be forced upon the individual concerned. The Disciplinary Committee held that if that person chose not to exercise that right by making himself unavailable for the purposes of service and, as a result, prevented or hindered the proceedings against him, then it would be just to proceed in his absence. As such, the Law Society’s application for dispensation of service was allowed and the proceedings were conducted in the respondent’s absence. 20 The Disciplinary Committee hearing commenced on 29 March 2007. As mentioned in the preceding paragraph, the respondent was not present at that hearing; nor was he represented by counsel. At the end of the hearing, the Disciplinary Committee found that all the charges were made out on the evidence and, accordingly, determined that there was cause of sufficient gravity for disciplinary action to be taken against the respondent under s 83 of the Act. (The respondent was also ordered to pay the costs of the Disciplinary Committee proceedings, fixed at $2,000, to the Law Society.) This in turn led to the present show cause proceedings against the respondent. 21 Pursuant to the show cause order made on 30 August 3007 (see  above), notice of the present application by the Law Society was served on the respondent by way of advertisement in The Straits Times and e Jus News, the electronic version of the Law Society’s newsletter. As mentioned earlier (at  above), the respondent was absent from the proceedings before this court and was thus unable to present his defence. We regarded the absence of the respondent as deliberate given his conduct in absconding with the misappropriated funds coupled with the repeated unsuccessful attempts to contact him. (Indeed, the respondent’s whereabouts currently still remain unknown.) Accordingly, we proceeded with the hearing in the respondent’s absence pursuant to s 104 of the Act. 83.—(1) All advocates and solicitors shall be subject to the control of the Supreme Court and shall be liable on due cause shown to be struck off the roll or suspended from practice for any period not exceeding 5 years or censured. 23 “[G]rossly improper conduct” in the context of s 83(2)(b) of the Act has been described by this court in Re Marshall David [1972-1974] SLR 132 at 138,  (per Wee Chong Jin CJ) as “conduct which is dishonourable to [the solicitor concerned] as a man and dishonourable in his profession” (see also the decisions of this court in, for example, Re Han Ngiap Juan  2 SLR 81 and Re Lim Kiap Khee  3 SLR 616). On the basis of the evidence and the authorities tendered to this court, it was clear in our view that, in the present case, due cause for disciplinary action under s 83(2)(b) of the Act had been shown. 24 In so far as the misappropriation charge was concerned, there was more than sufficient evidence, proved beyond a reasonable doubt, that the respondent’s actions fell directly within the ambit of the “grossly improper conduct” contemplated by s 83(2)(b) of the Act. As the sole signatory of the Client Account, the respondent had withdrawn large sums of moneys from that account for his own purposes and benefit. 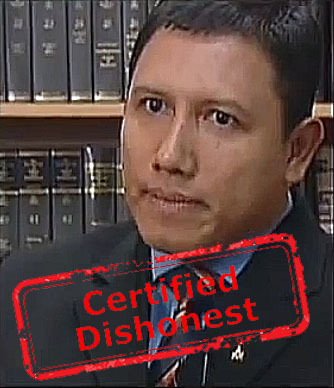 According to the affidavit of evidence-in-chief (“AEIC”) of Mr Kon Yin Tong (“Mr Kon”) of Grant Thornton, all these withdrawals had been unauthorised in that they had not been made pursuant to the instructions of a client of DRP; neither had the sums withdrawn been paid to or applied in favour of an existing client of the firm. 25 In respect of the SAR charges, Mr Kon’s AEIC revealed that substantial sums of moneys had been received into or withdrawn from the Client Account, but none of those transactions had been recorded in any of DRP’s client account ledgers. It was also discovered that, as at the latest date on which the ledger documents were updated, the Client Account was in debit to the sum of $5,000.00. This was clear and compelling documentary evidence that the respondent had failed to maintain proper accounting records as required by rr 11(1) and 11(2) of the SAR. 26 This court has on numerous occasions ruled that breaches of the SAR can amount to “grossly improper conduct” under s 83(2)(b) of the Act: see, inter alia, Law Society of Singapore v Lim Yee Kai  1 SLR 701 (“Lim Yee Kai”) and Law Society of Singapore v Chiong Chin May Selena  4 SLR 320 (“Chiong Chin May Selena”). In the former case, the breaches took place over the course of a year, and, in the latter case, over a period of slightly more than four months. In both cases, this court found the respective respondents guilty of grossly improper conduct. Not surprisingly, the lawyer in the former case was struck off the roll of advocates and solicitors. In the latter case, however, the penalty imposed was not as severe owing to the special circumstances of the lawyer concerned. In the present case, the respondent’s omissions to comply with rr 11(1) and 11(2) of the SAR took place over a significantly shorter period of just a few days. However, the omissions related to substantial sums of money that were the subject of deliberate and systematic misappropriation by the respondent. Accordingly, we held that such blatant contravention of the SAR amounted to grossly improper conduct by the respondent in the discharge of his professional duty within the meaning of s 83(2)(b) of the Act. (d) to facilitate access to justice by members of the public. 11 … It is not simply a question of punishing the solicitor concerned. A further consideration must be what course should the court take to protect the public and to register its disapproval of the conduct of the solicitor. In the relevant sense, the protection of the public is not confined to the protection of the public against further default by the solicitor in question. It extends also to the protection of the public against similar defaults by other solicitors through the court publicly marking the seriousness of what the instant solicitor has done. The orders made must therefore accord with the seriousness of the default and leave no doubt as to the standards to be observed by other practitioners. In short, the orders made should not only have a punitive but also a deterrent effect. 12 There are also the interests of the honourable profession to which the solicitor belongs, and those of the courts themselves, to consider. The administration of justice can only proceed on the basis that solicitors can place reliance upon the honesty of the solicitors with whom they deal. The public too must be able to repose confidence in a profession which plays so indispensable a part in the administration of justice. Similarly, the courts of this country must be able to depend on the honesty and integrity of all practitioners appearing before them and to expect that they will maintain the highest standards of personal honesty and integrity in their dealings with the courts. 29 The above passage in Law Society of Singapore v Ravindra Samuel  1 SLR 696 was again reiterated by this court in Law Society of Singapore v Ahmad Khalis bin Abdul Ghani  4 SLR 308 (“Ahmad Khalis”), where it was held (at ) that “the public interest in deterring both the individual solicitor and other like-minded solicitors from similar conduct is paramount”. As this court put it in Law Society of Singapore v Ong Ying Ping  3 SLR 583 at  (in another statement of principle which was cited by this court in Ahmad Khalis at ), “[t]here is, in fact, an inherent, irreducible and non-negotiable public interest in the administration of justice in its multifarious forms”. Reference may also be made in this regard to the observations in Ahmad Khalis as quoted below (at ). 30 Indeed, in the recent decision of this court in Narindar Singh Kang v Law Society of Singapore  4 SLR 641 (“Narindar Singh Kang”), the public interest was emphasised and (more importantly) distinguished from the individual lawyer’s interest, which, in the context of an application for reinstatement to the roll of advocates and solicitors, centres on rehabilitation. This particular case underscores, yet again, the clear importance of the public interest, which, in fact covers all aspects of the disciplinary process (including that of reinstatement to the roll of advocates and solicitors). It is important that there should be full understanding of the reasons why the tribunal makes orders which might otherwise seem harsh. There is, in some of these orders, a punitive element: a penalty may be visited on a solicitor who has fallen below the standards required of his profession in order to punish him for what he has done and to deter any other solicitor tempted to behave in the same way. Those are traditional objects of punishment. But often the order is not punitive in intention. Particularly is this so where a criminal penalty has been imposed and satisfied. The solicitor has paid his debt to society. There is no need, and it would be unjust, to punish him again. In most cases the order of the tribunal will be primarily directed to one or other or both of two other purposes. One is to be sure that the offender does not have the opportunity to repeat the offence. This purpose is achieved for a limited period by an order of suspension; plainly it is hoped that experience of suspension will make the offender meticulous in his future compliance with the required standards. The purpose is achieved for a longer period, and quite possibly indefinitely, by an order of striking off. The second purpose is the most fundamental of all: to maintain the reputation of the solicitors’ profession as one in which every member, of whatever standing, may be trusted to the ends of the earth. To maintain this reputation and sustain public confidence in the integrity of the profession it is often necessary that those guilty of serious lapses are not only expelled but denied re-admission. If a member of the public sells his house, very often his largest asset, and entrusts the proceeds to his solicitor, pending re-investment in another house, he is ordinarily entitled to expect that the solicitor will be a person whose trustworthiness is not, and never has been, seriously in question. Otherwise, the whole profession, and the public as a whole, is injured. A profession's most valuable asset is its collective reputation and the confidence which that inspires. 32 In the present case, the respondent’s misappropriation of clients’ moneys clearly involved, in Sir Bingham MR’s words as quoted in the preceding paragraph, “proven dishonesty”. And, as the learned Master of the Rolls pointed out, the fact that neither criminal proceedings nor penalties had been effected against the respondent was immaterial. In any event, as we pointed out earlier (at  above), the respondent has absconded. Honesty is the paramount attribute of the advocate and solicitor for no man seeks the services of a person who cannot be trusted, irrespective of his abilities. An advocate and solicitor must be uncompromising in his responsibility to be honourable at all times and in all circumstances. 34 We have also just highlighted (at – above) the crucial importance of the public interest in general and the legitimacy of the legal profession in the eyes of the public in particular. The respondent’s conduct in the present case warranted nothing less than a striking-off order. The amounts he misappropriated were substantial and could hardly be dismissed as isolated incidents. He was convicted of four charges, and no less than seven other charges were taken into consideration for sentencing. He had obviously embarked on a deliberate and dishonest scheme to defraud his clients and, to this day, has failed to make restitution to any one of them. The practice of law is an honourable profession that demands the highest degree of integrity and trustworthiness from its members. The respondent’s appalling conduct demonstrated that he was entirely unfit to remain on the roll of advocates and solicitors. In our opinion, the only appropriate order was one of striking the respondent off the roll of advocates and solicitors. It is trite law that where a solicitor has acted dishonestly, the court will order that he be struck off the roll. In the present case, the respondent failed to discharge his professional duties with any degree of integrity and trustworthiness whatsoever. He neglected to keep proper accounts. He wilfully misappropriated his clients’ moneys for his own use. His conduct was dishonest and dishonourable. 38 In the instant case, a solicitor of the respondent’s seniority and standing should have known better. The gravity of the offences was compounded by the fact that the respondent had committed them in his professional capacity, thereby abusing the trust which his clients had placed in him. His conduct fell abysmally below the required standards of integrity, probity and trustworthiness demanded of the legal profession. For these reasons, we were of the view that the respondent should be punished for his misconduct by being struck off the roll of advocates and solicitors of the Supreme Court of Singapore. The legal profession enjoys very great privileges. In return for these privileges they owe the public a duty and that duty involves not only an extremely high standard of probity but a way of conducting business, and particularly business in relation to financial matters, which is beyond suspicion. In particular it is required, and it is part of the price the profession must pay for its privileges, that separate accounts of solicitors’ money and clients’ money should be kept. The client account of a solicitor was described in Bolton (( supra) at 517) as being “sacrosanct”. Thus, a breach of the SAR will invariably warrant disciplinary attention (see also Chiong Chin May Selena ( supra) at ). 40 The proper management of client accounts is critical to every law practice because of the trust placed by the client in the law practice that is representing him to safeguard and properly apply his money (see Ethics and Professional Responsibility ( supra) at para 28-051). As was pertinently observed in an article (see Yasho Dhoraisingam, “What is Client Reconciliation and Its Role in the Supervision of Your Client Account?”, The Singapore Law Gazette (August 2003) at p 41), “[t]he rules that regulate our [ie, the legal profession’s] holding of client’s money were never passed for our convenience but [were] passed to safeguard money entrusted to us in our professional capacity by clients and third parties”. The article proceeds to emphasise that solicitors have a responsibility to ensure compliance with the applicable accounting rules (ie, the SAR) as any lapse would put clients at risk and undermine public confidence in the legal profession. Solicitors have been conferred a unique statutory privilege by Parliament for the purpose of facilitating the efficient discharge of their professional duties. … This right in turn entails serious responsibilities. … All practising solicitors are ipso facto subject to the [SAR] and other relevant rules made pursuant to the [Act]. The raison d’etre for these rules is clearly to protect the public against any unauthorised use of money maintained by solicitors and to instil in the public confidence that the legal profession is effectively regulated and policed. It is not enough that a solicitor conducts himself honestly in relation to the discharge of his professional duties. A solicitor also has to discharge his obligations and responsibilities competently and conscientiously. Observance of the relevant accounting rules, practices and conventions is a fundamental obligation that all solicitors must observe as a condition for their privilege to practise. 42 Although we have already held (at  above) that the respondent’s misappropriation of his clients’ moneys in this case was itself sufficient reason to strike him off the roll of advocates and solicitors, we were of the view that the (additional) contravention of the SAR by the respondent (which, as indicated at  above, was proved beyond reasonable doubt) would also merit a striking off order. In the first place, the respondent’s contravention of the SAR was inextricably connected to his misappropriation of his clients’ moneys. Further, this particular contravention was, in and of itself, both systemic and flagrant (see also the recent decision of this court in Law Society of Singapore v Tay Eng Kwee Edwin  4 SLR 171, where the errant lawyer was struck off the roll for having, inter alia, failed to maintain the requisite accounting records over a one-year period). 43 The respondent’s misconduct warranted the most severe sanction permitted under the Act. His actions not only represented one of the most severe wrongs which a lawyer could commit, but also clearly brought disrepute and shame to the legal profession. As a long-standing member of the Bar, the respondent should have been acutely aware of the serious repercussions of his actions. His actions could not be condoned. Accordingly, we ordered that the respondent be struck off the roll of advocates and solicitors of the Supreme Court of Singapore, and that he bear the costs of the proceedings before both this court as well as the Disciplinary Committee. 85.—(1) Any complaint of the conduct of an advocate and solicitor shall in the first place be made to the Society [ie, the Law Society] and the Council shall refer the complaint to the Chairman of the Inquiry Panel. (2) The Council may on its own motion refer any information touching upon the conduct of an advocate and solicitor to the Chairman of the Inquiry Panel. (b) where the Judge or the Attorney-General requests that the matter be referred to a Disciplinary Committee, apply to the Chief Justice to appoint a Disciplinary Committee. In this instance, the respondent’s conduct was referred to the inquiry panel (constituted under s 84 of the Act) by the Council pursuant to s 85(2) of the Act. Where a complaint is received touching the conduct of solicitor A and solicitor A alleges that the source of the complaint was really the conduct of solicitor B, the Council may direct an inquiry into the conduct of solicitor B. … [W]here complaints are withdrawn, the Council may direct an inquiry as to whether there may be a pattern of shoddy professional practice. The words “in his professional capacity” have been removed because it is clear from section 83 that the [Legal Profession Act (Cap 161, 1990 Rev Ed] also envisages complaints about other serious misconduct on the part of the advocate and solicitor which brings into disrepute the profession. The removal of these words does not mean that frivolous complaints should be entertained. The provision must be read in the context of the instances of misconduct enumerated in section 83(2) or it must be “misconduct unbefitting the advocate and solicitor as an officer of the Supreme Court or as a member of an honourable profession”. f a lawyer is caught spitting on the road, or dropping … litter, prosecute him by all means. But does that make him unfit to practise law, or to call himself a lawyer? It is true that such conduct [ie, the conduct in the example just cited] does not serve to uphold the honour and dignity of the profession. But it has nothing to do with maintaining the standard of practice in the profession. … [M]embers of the public have no choice really but to place their problems, their difficulties, their fortunes, their liberties and, in some cases, even their lives in the hands and the trust of lawyers. It is important, therefore, that the public have the utmost confidence in the ethical standards, financial and personal integrity of lawyers. Indeed, in the final analysis, a lawyer’s professional conduct should flow not from fear of punishment under statutory enactments such as s 85(2) of the Act, but, instead, from the innate desire to uphold the moral, ethical and professional standards which lie at the heart of the legal profession. Statutory enactments only provide the obvious starting point against which a lawyer must measure his conduct. 51 It would, in the circumstances, be extremely disconcerting if lawyers do not hold themselves out on a personal level in the same manner as they would on a professional level. 52 There are certain values which are universal and time-honoured, including, in particular, the values of honour, integrity and honesty. Such values are an integral part not only of life in general, but also of the legal profession in particular. No profession – not least the legal profession – can exist (let alone thrive) without them. Indeed, no life worth living can be lived without adhering to these values. In his keynote address at the inaugural Singapore Legal Forum organised by the United Kingdom Singapore Law Students Society in 2007 (available at (accessed 25 January 2008)), the learned Chan Sek Keong CJ aptly quoted the following observation by Earl Warren, a former Chief Justice of the US Supreme Court: “in civilised life, law floats on a sea of ethics”. Devoid of the integral values outlined above, the legal profession would be no more than an empty shell, shorn of moral fibre. Its legitimacy and standing in the eyes of the public would be diminished and, beyond a certain point, would even be forfeit. This would be a tragedy in the light of the ideals which the legal profession embodies – the chief of which are to ensure that justice is achieved in each individual case by the objective application of general rules and principles (which are themselves, by definition, also objective), and (wherever possible) to lay down general principles that would aid in the resolution of future cases as well. 53 In the present proceedings, the respondent did not merely contravene professional rules of conduct; he also flouted every conceivable value which the legal profession stands for. Although, as mentioned at the outset of these grounds of decision, this is not the first case of a lawyer misappropriating his clients’ moneys, the sums involved in the present case and the manner in which the misappropriation was effected magnified the intensity of the public spotlight on the entire legal profession. What we found most deplorable and saddening was not merely the amount of money that was misappropriated, but also the total lack of values that accompanied, as well as resulted in, such misconduct in the first instance. In short, the respondent displayed – in contradistinction to the values referred to in the preceding paragraph – an utter lack of honour, integrity and honesty; he demonstrated, instead, an appalling greed that caused him to take from others what was lawfully (and rightfully) theirs. In doing so, the respondent not only committed a serious and deplorable breach of the rules of professional conduct; he also brought immeasurable shame upon himself and pain and grief upon others, as well as cast a dark shadow (in a wholly unnecessary fashion) on the reputation of the legal profession itself. The latter two effects were wholly unwarranted. Indeed, in so far as the adverse impact on the legal profession as a whole is concerned, it does the profession a grave injustice simply because virtually the whole of the profession practises the law both diligently and with great honour as well as integrity. Flagrant disregard by any lawyer of the time-honoured and intrinsic values of the legal profession will undoubtedly attract intense media scrutiny, and will almost certainly result in the unwarranted but rapid erosion of public confidence in the Bar. In this regard, it bears emphasis that the legal profession is not merely an abstract entity. On the contrary, it comprises individuals, many of whom work extremely lengthy hours, often under great stress. Many also go above and beyond the call of duty by doing pro bono legal work, especially for those who are underprivileged and who would not otherwise be able to realise their legal rights. The exemplary conduct of such legal practitioners should be lauded and (equally importantly) encouraged. May all in the legal profession hold fast to the aforementioned values of honour, integrity and honesty; and may our law schools teach as well as inculcate such values in their students always. And, as importantly, may law lecturers and teachers serve as role models by embodying and practising these values – both within and outside their respective teaching institutions. Indeed, in this last-mentioned respect, public service is not the province of lawyers alone. It should be mentioned, in this regard, that a number of local law lecturers and teachers have very commendably demonstrated a spirit of public service – for example, by conducting seminars, producing books and articles that assist the profession, contributing to law reform work, as well as assisting (in various ways, by virtue of their specific expertise and whenever required) in the selection and vetting of local law reports. 54 To recapitulate, the conduct demonstrated by the respondent, as already alluded to above, is not – and ought never to be – what the discipline and practice of law is all about. There are many pertinent descriptions by eminent judges, lawyers and scholars of what the legal profession ought – ideally – to be. The most pertinent observations are perhaps those which emanate from those within Singapore itself, as follows. I was impressed because this definition brings out what are to me three essential attributes of the legal profession. What are these three attributes? The first is that it is a disciplined body. The second is the pursuit of a learned art as a common calling. The third is that members of this disciplined body pursue their common calling in the spirit of public service. These shortcomings have done will continue, unless remedied, to do great harm to the legal profession as a whole. The majority of the public may not continue to believe it is an honourable profession if it continues to be content to ride on the back of the economic prosperity of the country and keeps its head buried in the sand. It must, both collectively and individually, demonstrate by its insistence on faithful adherence to the ethics and etiquette of the profession and its open condemnation of unethical conduct on the part of any of its members and by the manner in which it performs that it is and deserves to be an honourable profession. It is a profession where there are no shortcuts to success. It should not be a profession for those whose sole aim is to gain material wealth through the practice of it. The legal profession should be, as it has always been, a demanding profession, demanding much from its members. Not only does it demand a high degree of competence, it also demands the highest standards of probity and integrity for otherwise it would not be a learned and honourable profession. So it must be for the legal profession in Singapore and there should be no place in our profession [today] and more so in the future, for the smug or the slothful or the incompetent lawyer. The danger ahead is that the legal profession in Singapore may fast become a mere calling which its members practise as a means of livelihood and not in the spirit of a public service. It is a real danger confronting all modern societies where the accent is on success and success is measured principally in terms of material wealth. The challenge in the future to the legal profession here is to ensure that it remains a true profession and to ensure by conduct, performance and service to the public, that it also is and deserves to be a learned and honourable one. Its future lies in its own hands. 57 These observations, although made over a quarter of a century ago, still apply (arguably, with even more force and relevance) to the legal profession today. 58 It is clear, therefore, that, despite the very occasional fall from grace by individual members of the legal profession, there are many noble ideals that constitute the hallmarks of this profession, without which society would not only be much poorer but might also not even exist in a coherent manner at all. Fortunately, too (and as already mentioned at  and  above), virtually all lawyers within the profession practise the discipline of law with great honour, integrity, passion and diligence, despite the many stresses and strains that accompany their practice. Such lawyers are, indeed, the tangible (and not inconsiderable) manifestations of the above-mentioned ideals being realised in the real world. Hence, even as we lament the appalling misconduct which occurred in the present case, we must not only let it serve as a reminder of what must be avoided, but must also remind ourselves of the radically different reality which embodies all that the legal profession stands for, as well as (more importantly) of what this profession has hitherto achieved and has the potential to achieve. 24.—(1) Every person admitted as an advocate and solicitor of the Supreme Court shall make the declaration set out in subsection (2). “I, A.B., do solemnly and sincerely declare (and swear) that I will truly and honestly conduct myself in the practice of an advocate and solicitor according to the best of my knowledge and ability and according to law. The oath binds the person taking it for the entire length of his career, although the number of disciplinary actions taken against advocates and solicitors may indicate that it has too often been honoured in the breach. Three phrases ring out: “truly and honestly conduct myself”; “according to the best of my knowledge and ability”; and “according to law”. Bear in mind always that a lawyer’s first and foremost duty is to uphold the principles of honesty, integrity and professionalism. This is reflected in the oath that you have just taken this morning … . 60 In the final analysis, as mentioned above (at ), whilst a shadow has been cast on the legal profession by the respondent’s flagrant misconduct in the instant case, may the innumerable (and bright) rays of service from the profession not only dispel this shadow, but also bring much light and warmth to the community which it serves. And may this last-mentioned thought spur all concerned in the discipline of law on to attain greater heights of professionalism and service. Reported by Peh Aik Hin. Programme Intro: "David Rasif never looked like someone in desperate need of money. He was well known in the law community, a loving family man who was popular and charming. What made him end up on the Interpol's Wanted list?" EX-LAWYER David Rasif had tried to abscond with about $11.3 million in cash, gold and diamonds in 2006 but failed to get away with a big chunk of the loot. A district court heard yesterday that the Commercial Affairs Department (CAD) was able to recover $6.4 million in cash and gold here and abroad. Lawyers involved told The Straits Times that police were able to track down the transfers of large sums of money from accounts operated by Rasif. The bank accounts in Hong Kong and Ho Chi Minh City in Vietnam that received the sums were then frozen and the slow work of releasing the money began, they said. Police also seized 40 of the 47 gold bars that Rasif, then 43, had bought for $1.65 million in June 2006. A disposal inquiry will now be held on Sept 20 for the court to decide on the rightful owners of the proceeds recovered. The biggest claimant for the recovered money is American couple Mr George Raymond Zage III and his wife Kaori Kathleen, represented by lawyer Toh Wei Yi. The husband and wife entrusted $11 million to Rasif's firm for the purchase of a property and lost all of it. Mr RS Bajwa is acting for an Indonesian couple who lost $445,000 while Mr Nigel Pereira is representing the Law Society which has taken over the clients' accounts of Rasif's defunct law firm. 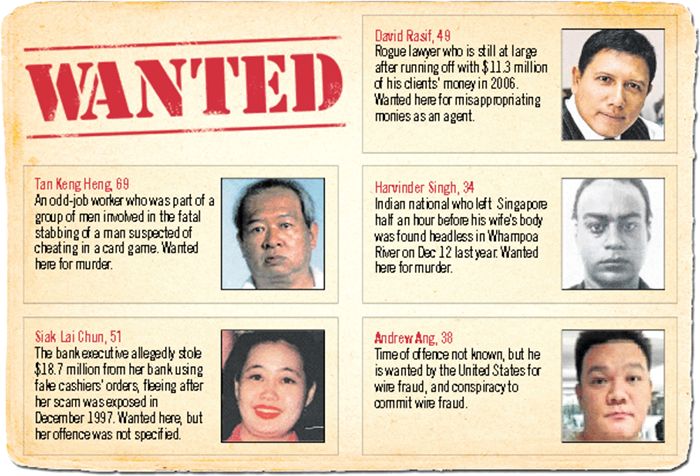 Rasif, who is sought by police for criminal breach of trust, is on Interpol's wanted list. • Lawyer David Rasif, a 17-year legal veteran and sole proprietor of David Rasif & Partners, made off with about $11 million of his clients’ moneys. • Of the $11 million, $10.7 million was entrusted to Rasif by an American couple for the purchase of a bungalow off Holland Road. • He was struck off the rolls by a Court of Three Judges in November 2007. • He is still at large.